If you’re a regular twitter user you’ll have heard about the #FridayFollow. We’ve decided to round up the best of what is happening each weekend. Your relocation to London is not just about the physical details of moving to London. You’ll have so much to do once you arrive in London that it is important that you take some time off over the weekends to start exploring the city. If you have not had a night out at the ‘Proms’ then this is one of your last opportunities for the summer. The BBC Proms run each year during the summer and present a program of entertainment. 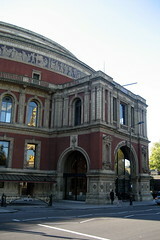 This year there were 74 concerts planned for the Proms season which ends on the 10th of September 2011. If you have just completed your relocation to London then this is the perfect opportunity to indulge in one of the most popular summer traditions. The BBC Proms are held at the famous Royal Albert Hall, which is worth a visit just to marvel at the building and the design. This festival of music and the arts has been held for the last 166 years and although it was started as a classical music showcase, it has changed over the years to include all manner of events and entertainment. On Saturday the 13th of August, the proms will showcase the work of comedian and musician, Tim Minchin. He will be accompanied by the BBC Concert orchestra and delivers a brad of comedy and music for a fine evening out. Comedy events are a first for the Proms, and this is going to be one of the highlights of the 2011 BBC Proms. Tickets for the Proms are usually sold out weeks in advance but with a little luck you may be able get tickets through the Royal Albert Hall website. You can also browse the rest of the season through the BBC website that is dedicated to the Proms. Experiencing the summer Proms is a great way to experience life in the city after your relocation to London.